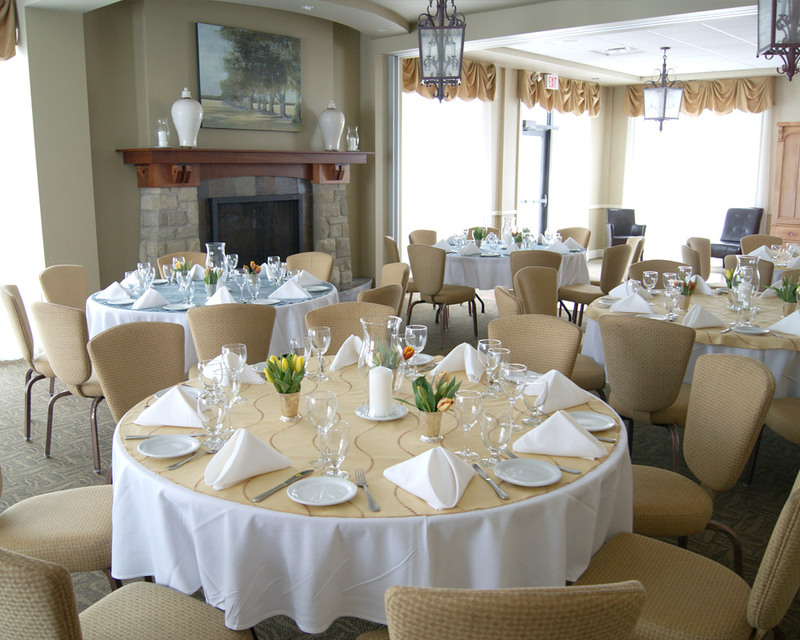 Enjoy a Calabogie Peaks wedding where nature provides a glorious backdrop for memorable occasions. 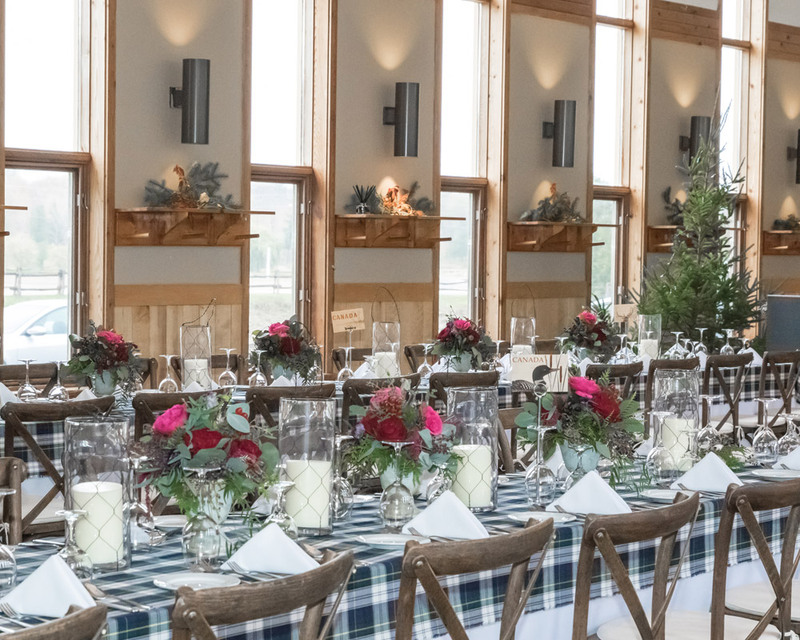 Far from the ordinary, the resort reflects its geographic area with Canadiana furnishings, country charm and service, and culinary menus rich with local produce. Discover our iconic Ontario indoor reception venues with scenic views of the Mountain, Lake, & Land. Calabogie Peaks Resort offers some of the most beautiful and unique wedding venues in Ontario. Each reception hall is adorned with stately furnishings and provides beautiful ambiance for receptions of all sizes. Located on the second floor of the base mountain lodge, Black Donald’s 25-ft floor-to-ceiling windows flood the room with natural light and provide magnificent views of the mountain. Take advantage of the opportunity to extend your reception to the connecting outdoor patio and enjoy the serene nature around you. 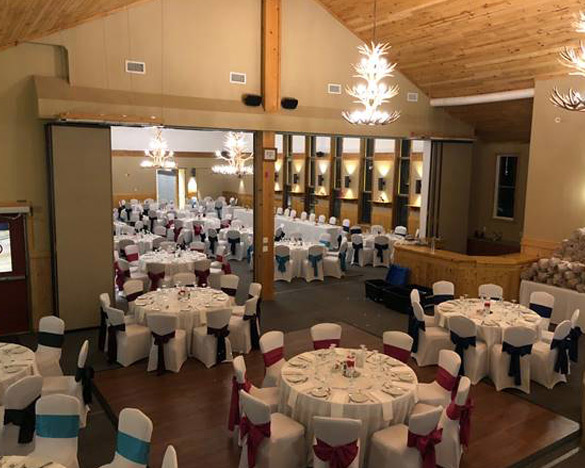 Algonquin Hall is located on the main floor of the base mountain lodge and offers guests a majestic reception venue floodlit with natural light during the day and lit with two stunning large antler chandeliers for evening use. 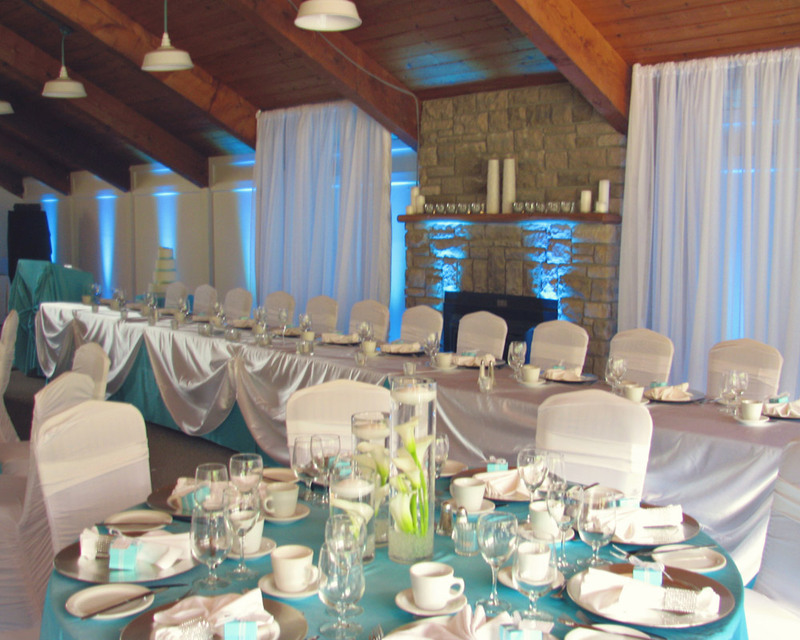 The Annex is a smaller hall that can be used separately or combined with Algonquin Hall to provide our larger weddings a grand reception hall. Also adorned with our signature antler chandeliers, this room is fully handicap accessible. 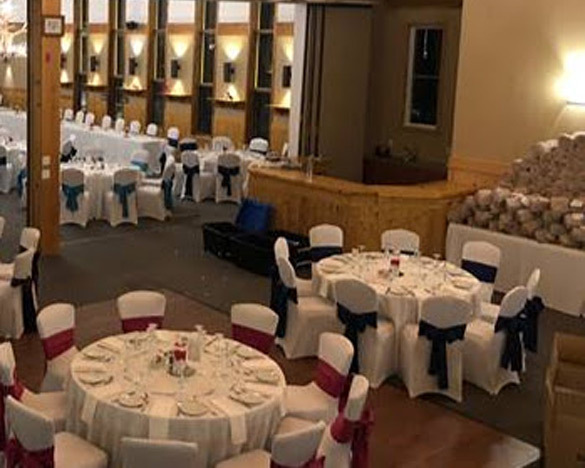 Offering our guests one of the most magnificent experiences for Ottawa wedding venues, Algonquin Hall and The Annex merge together to create a single open space to accommodate as many as 220 guests (seated at tables of 10), 176 guests (seated at tables of 8).